This week’s video comes from an awesome Youtube channel known as Wranglerstar. It’s about the Wranglerstar family and their life as homesteaders in the mountains of the Pacific Northwest. They have a bunch of videos about basic skills, food storage, and product reviews. Right now, Cody is doing a series on cheap items from Amazon. They’ve talked about the cheapest axe, knife, flashlight, machete, multitool, and more. I love this series because he shows you whether cheap items good enough for people on a budget or whether it’s worth getting something more expensive. 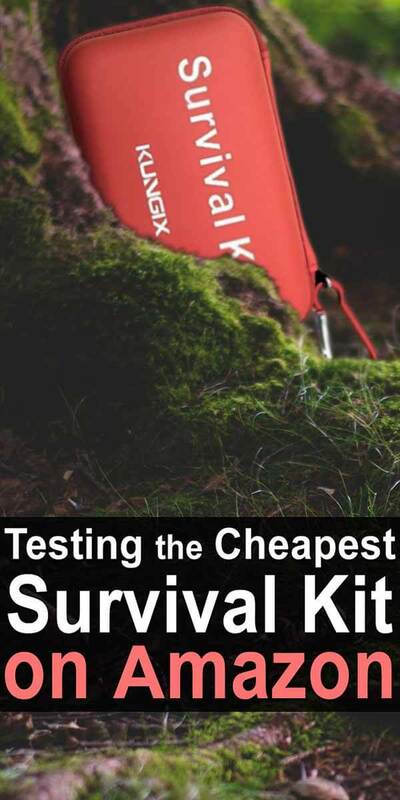 In this video, he talks about the this survival kit on Amazon: the Kungix Outdoor Emergency Survival Gear Kit. Is it worth the price? Watch the video below and decide for yourself.